Amerisave Mortagage is a large discount retail mortgage banker, with a large online presence and national licensing, meaning that it can lend in all 50 states and Washington DC. Amerisave has grown into one of the largest non-bank mortgage lenders in the United States. With Amerisave, prospective borrowers can fill out an application online and request a rate lock without ever needing to speak directly to a loan officer. Amerisave's automated process is not perfect for every borrower, particularly those who want more guidance throughout the process. That said, the company has strong customer support, and if you're willing to work with Amerisave it's likely that you'll lock in a favorable mortgage rate. 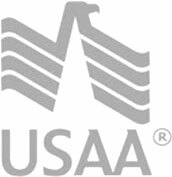 Amerisave Mortgage offers a wide variety of mortgage products, including VA, USDA, and jumbo home loans. Whether you're looking to refinance a mortgage loan, purchase a new home, or buy your first house, Amerisave is a lender that you should consider for your home loan.